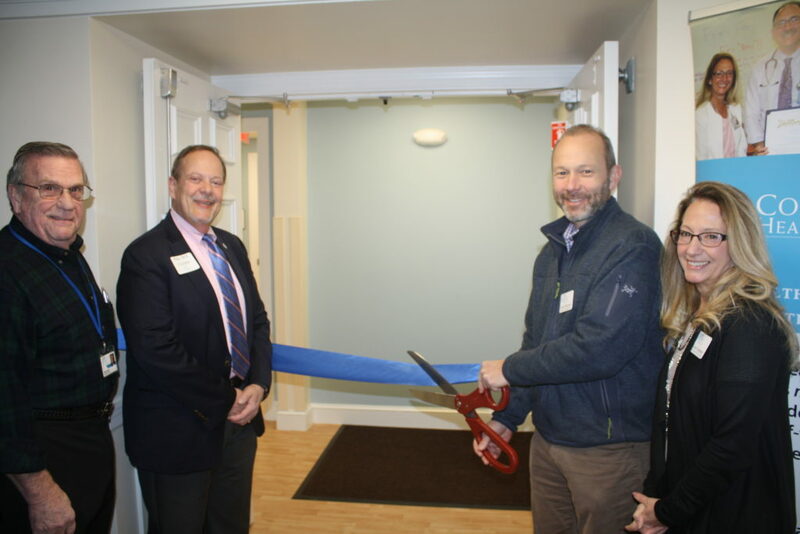 Community Health Center of Cape Cod hosted a ribbon-cutting ceremony at its new Centerville office, located at 1185B Falmouth Road, on January 31. There was a great turnout of Board Members, donors, patients, staff, volunteers and community partners to officially open the new office. Community Health Center of Cape Cod Chief Executive Officer Karen Gardner welcomed the crowd and provided information about the Health Center’s expansion and Massachusetts State Representative Will Crocker also made remarks about the importance of health centers on the Cape. All of the guests at the ribbon cutting were able to tour the new office and meet the Centerville staff.